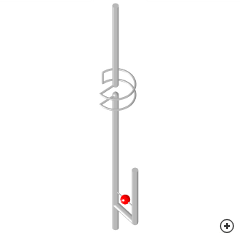 The Super J-pole has a fairly narrow impedance bandwidth, ranging from 3.7% to 6.6%. The radiation pattern is similar to that of a dipole, with slightly more gain and small asymmetry about the azimuth. 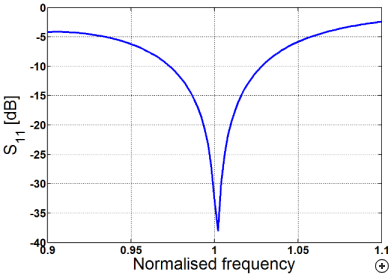 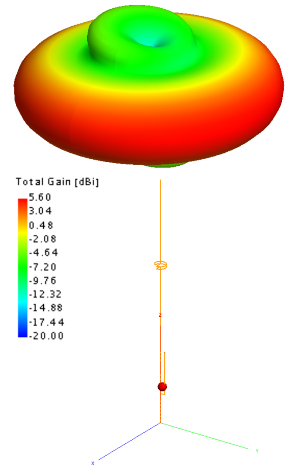 Typical total 3D radiation pattern at the centre frequency.